More than 40% unemployment; extended blackouts; severe shortages of clean water and classrooms; limited economic opportunities; a very young, educated population with immense potential, and a closure that undermines progress. This is life in Gaza today. Many Israelis believe that with the implementation of the disengagement plan in 2005, Israel has unburdened itself of Gaza and no longer bears responsibility for what happens there. The reality is that Israel still denies sea and air access to Gaza and controls all but one of its land border crossings, Rafah. Israel takes it upon itself to screen and sort all goods shipped into Gaza and demands to know the purpose of the goods, who receives them and who pays for them. Israel decides what goods produced in Gaza can be sold outside the Strip, how much, when and where. Israel also decides how much electricity will be sold and supplied to the Strip, reducing its supply at will. This is not disengagement; this is remote (but not too remote) control. On September 11, 2005, Israel removed its last remaining troops from inside the Strip. In 2007, after Hamas took control of the Strip, Israel’s security cabinet declared Gaza a “hostile entity” and severely tightened restrictions on movement for its residents. Entry of goods was reduced to the bare minimum required to stave off a humanitarian crisis; export of goods outside Gaza was fully banned; severe restrictions were imposed on the entry of fuel, and travel between Gaza and the West Bank and Israel, which was already limited, was even further restricted. Over the years, a doctrine the military refers to as the “separation policy” was developed. 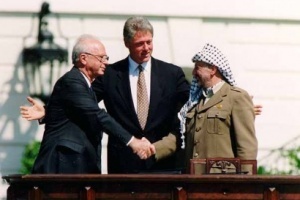 The idea is to sever Gaza from the West Bank, to obstruct contact between the two parts of the Palestinian territory, which, were not only meant to make up the Palestinian state according to international resolutions and agreements, but also share the same language, culture, and economy, as well as family ties. Security officials have said that the purpose of the separation policy is to put pressure on Hamas and help the Palestinian Authority, but in practice, the policy harms civilians – for instance, Gaza’s civil society organizations. Students from Gaza cannot study in West Bank universities, medical teams, academics and technical experts cannot travel between the two parts of the territory, not even for seminars and training. Families cannot reunite except in the most exigent of circumstances, such as a wedding, or a death or terminal illness in the family. Even then, only first-degree relatives are eligible to apply for a permit. Some restrictions have been lifted or changed over the years (details below) but the principle remains the same, despite the fact that the restrictions have clearly failed to achieve their original goal of “toppling Hamas” or preventing rocket fire on Israeli communities. What the restrictions have done is unravel conditions on the ground to the point that, as a United Nations report has said, without immediate, massive mobilization, Gaza will become uninhabitable by 2020. Currently, only two crossings are used for pedestrian travel into and out of Gaza – Rafah, into Egypt, and Erez, into Israel. When Rafah Crossing is closed, as it has been most of the time since the summer of 2013, Erez Crossing, controlled by Israel, is Gaza’s only gateway to the outside world. It is also the shortest route to the West Bank. Only about 6,200 exits by Palestinians were recorded on monthly average at Erez during the first nine months of 2017 – compared to more than half a million exits in the months preceding the Second Intifada in 2000. During the first quarter of 2017, the number of exits dropped by a further 40 percent, with an average of under 7,500 exits each month. Passage through Erez Crossing is subject to Israeli security clearance and interpretation of a narrow and fluid list of criteria for travel. Since the beginning of 2016, the interpretation of the criteria seems to have become increasingly more arbitrary. Residents who have received permits and have ostensibly been cleared for travel are still denied passage upon arrival at Erez Crossing. Thousands are told that their permits have been denied due to a “security block,” with no further explanation. This is also the case for traders who have traveled back and forth between Gaza and Israel for years, making purchases in Israel. Figures released by the Coordinator of Government Activities in the Territories (COGAT) show a drop in the rate of affirmative responses to permit applications from 80 percent in 2014 to 46 percent in 2016. Ordinarily, passage is granted to merchant permit holders, medical patients and the people accompanying them, and “exceptional humanitarian cases”. That is it. Why not travel through Egypt? 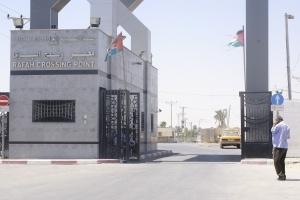 The Gaza-Egypt border crossing point is Rafah Crossing. As recently as after the fall of the Mubarak regime in 2011 and until mid-2013, Rafah served as a major point of access for Gaza residents. It was open fairly regularly, with some 40,000 exits and entries recorded each month. This changed in July 2013, following a transition of power to the government of President Abdel Fattah al Sisi. Since then, the crossing has been closed most of the time. Throughout 2016, Rafah Crossing was open on a total of just 42 days, and the monthly average number of exits and entries recorded was 3,520. During the first three quarters of 2017, the crossing was open for 17 non-consecutive days in total. Each individual must undergo a security check. Travel is limited to those fitting a narrow list of criteria. 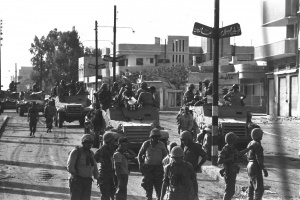 Before the Second Intifada, tens of thousands of Palestinians crossed through Erez daily for work in Israel. In the first three quarters of 2017, the crossing was open for a total of 17 non-consecutive days. In the first half of 2013, Rafah Crossing operated regularly and tens of thousands of crossings were recorded each month. Compared to a more than 80% approval rate in 2013. Many permits have been cancelled or were not renewed. Gaza’s only active commercial crossing is Kerem Shalom, located in the south of the Strip, and fully controlled by Israel. From the time the closure was imposed in 2007 and until the Mavi Marmara flotilla incident of 2010, Israel had a long list of goods it banned from entering Gaza. It included coriander, toilet paper, toys, and chocolate, to name a few. As a matter of fact, the list, which was never officially released, listed the items permitted for entry. Everything else was banned. Israel currently allows most goods to enter Gaza but severely limits, and in some cases bans, the entry of items it defines as dual-use, that is, items that Israel believes can also be used for military purposes. The list is long, and vague. It includes items such as medical equipment, communications equipment and wood planks. 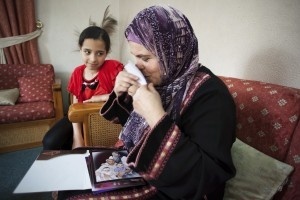 The harm the list does to industry impedes Gaza’s chances of economic recovery or development. The dual-use list also contains basic construction materials, such as cement and steel, which Israel says can be used for building tunnels. Cement and steel currently enter Gaza almost exclusively through a mechanism for coordinating entry of building materials and goods agreed upon by Israel and the Palestinian Authority with UN monitoring, and established according to Israel’s conditions after Operation Protective Edge (Gaza Reconstruction Mechanism (GRM)). Israel approves all major building plans in the Gaza Strip, as well as the list of suppliers, distributors and contractors who are cleared for participation in the GRM. When Israel deems a detail out of line, it can suspend the entry of construction materials and cancel permits given to, for instance, merchants or brick factory owners. 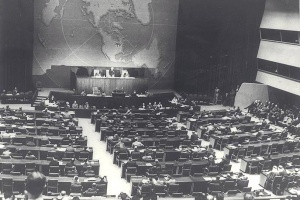 The United Nations Partition Plan for Palestine is adopted. The Palestinian state includes the Gaza Strip. 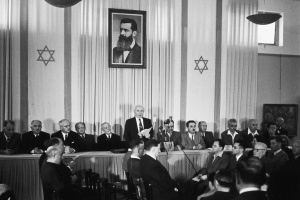 Declaration of the State of Israel and the 1948 War. Over the course of the war, large numbers of Palestinian refugees from the center and south converge in Gaza. Armistice agreement signed with Egypt, leaving Gaza under Egyptian military rule. 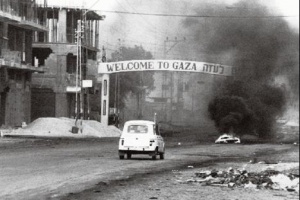 Israel occupies Gaza during the Six Day War. The “General Exit Permit” allows Palestinians from Gaza and the West Bank to enter Israel during the day and work there. The First Intifada erupts in Gaza and spreads to the West Bank. 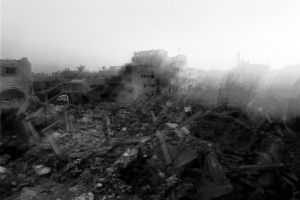 Over the next few years, violence will escalate and spread (Gaza, 1987. Photo by Anat Saragusti). “General Exit Permit” revoked. 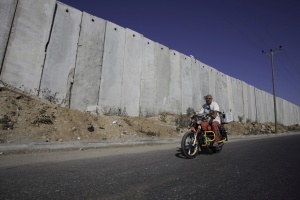 Access restrictions imposed on Gaza residents become more severe. The Cairo Agreement for the transfer of Gaza and Jericho to Palestinian control is signed. Israel puts up a fence around the Gaza Strip. 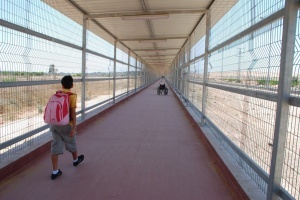 The “safe passage” between Gaza and the West Bank opens. The Second Intifada breaks out. Safe passage is closed. 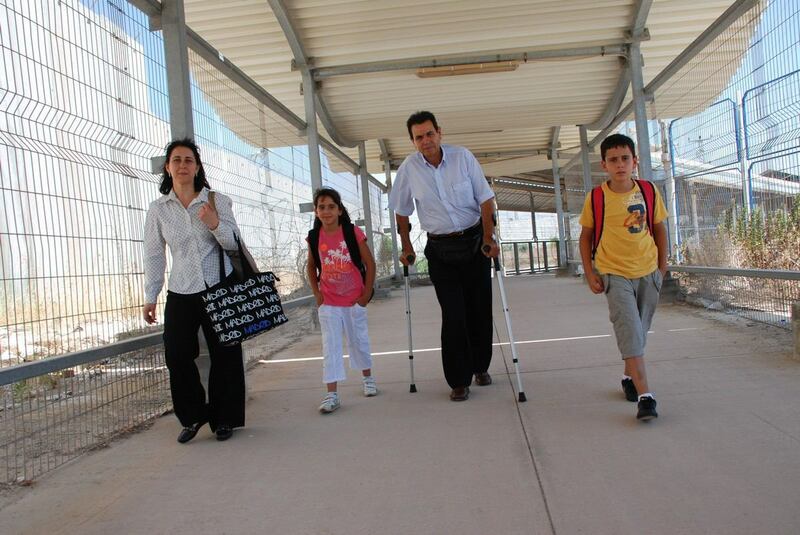 Serious restrictions on movement through Erez Crossing imposed. Israel shuts down Gaza airport. Gaza students banned from studying at West Bank universities. The Gaza Disengagement Plan is completed. Israeli military withdraws from the inside of Gaza after 38 years. Commerce with Gaza is restricted. The Agreement on Access and Movement is signed, giving Israel a great deal of control over travel into and out of the Gaza Strip. 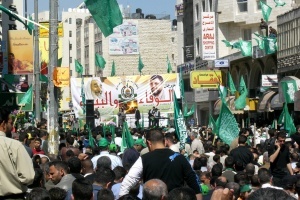 Hamas wins majority vote in the Palestinian parliamentary elections held in Gaza and the West Bank. Three months later, Israel forbids Gaza laborers from entering its territory, and restricts travel through Erez to exceptional humanitarian cases. 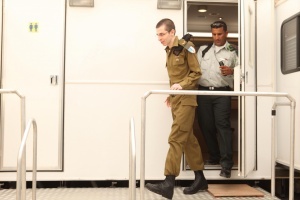 Israeli soldier Gilad Shalit is captured by Palestinian militants and held in Gaza. Two days later, Operation Summer Rain begins, the first ground invasion of the Gaza Strip since the disengagement. Gaza’s power station is bombed during the fighting. Israel declares Gaza a “hostile entity” following the Hamas take-over in June and tightening of the closure. 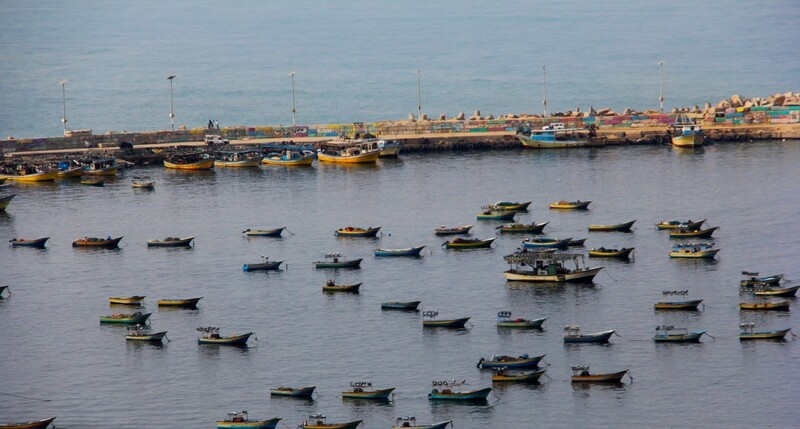 Israel devises formulas for calculating the minimum caloric intake needed to prevent a humanitarian crisis, reduces the amount of fuel and electricity sold to Gaza, and limits the fishing zone to three nautical miles from shore. 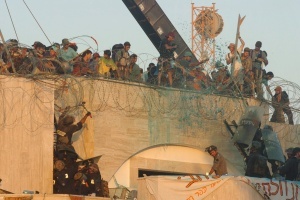 Operation Cast Lead – Gaza’s power station is hit once again. Extensive damage to residential and government buildings, as well as electricity, sewage and water infrastructure. Hundreds are killed and thousands injured. Israel releases protocol which effectively prohibits Palestinians from Gaza from moving to the West Bank for family unification. 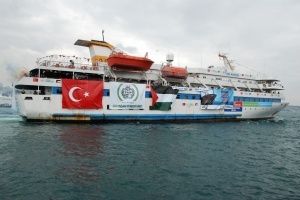 Israeli navy takeover of Turkish vessel, the Mavi Marmara, ends with the killing of nine activists on board. International pressure and investigations follow. Israel lifts most restrictions on the entry of civilian goods into Gaza, with the exception of “dual-use” items and allows the entry of construction materials for international organizations only. Limited export abroad from Gaza begins. Israeli air force strikes a Gaza tunnel. 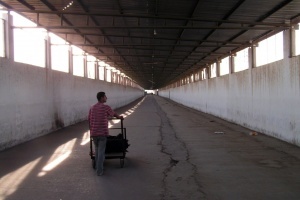 Throughout the year, smuggling through tunnels running from Gaza to the Sinai desert intensifies. Rafah Crossing operations expand greatly after the Muslim Brotherhood rises to power in Egypt, and it remains open most of the time, allowing Gaza residents to travel into Egypt. 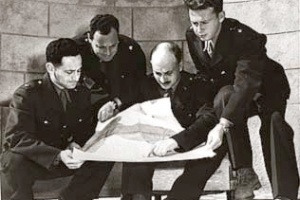 Operation Pillar of Defense. 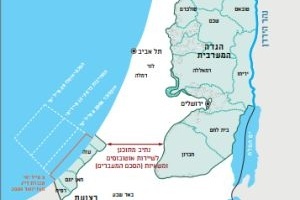 Israel subsequently increases the fishing zone to six nautical miles off the coast and declares farmers will be allowed to approach up to a distance of 100 meters from the border. The discovery of a tunnel near the Israeli kibbutz community of Ein Hashlosha brings an end to a very brief interval during which Israel allowed construction materials to enter Gaza for the private sector. All construction materials are banned. Unemployment soars. Over the course of the year, Egypt destroys most Sinai smuggling tunnels and frequently shuts down Rafah Crossing. Operation Protective Edge begins - the deadliest, most destructive round of fighting in Gaza to date. Operation ends in ceasefire. The GRM is established and more construction materials are allowed to enter Gaza. Permits for family visits in the West Bank are somewhat increased. The ban on the sale of Gaza goods in the West Bank is lifted in November. 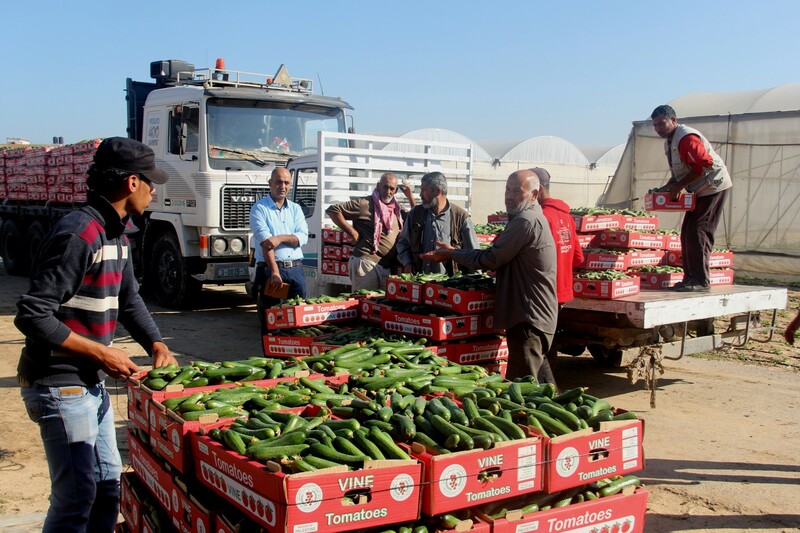 Israel allows limited sale of Gaza produce in its own territory for Jews who observe shmita (practice by which Jewish-owned land must lay fallow). Rafah Crossing opens for just 32 non-consecutive days throughout the year. 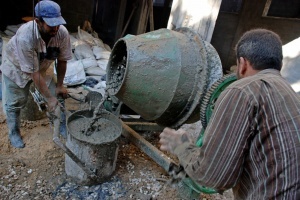 Israel bans cement designated for Gaza’s private sector from entering for almost two months. Over the year, thousands of merchant permits given to Gaza residents are revoked, and they are denied travel to Israel or the West Bank. Security refusals increase. Toward the end of 2014, Israel announced it would remove one of the most restrictive economic sanctions imposed on the Gaza Strip – the ban on selling Gaza made goods in the West Bank. In November 2014, for the first time in seven years, a truck carrying goods from Gaza made its way to Hebron. It was followed by wood, textile and produce from Gaza that were shipped out to West Bank markets. 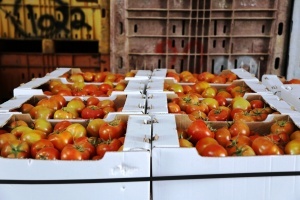 In March 2015, for the first time in eight years, Israel also permitted the sale of tomatoes and eggplants from Gaza in its own territory, for the duration of the year of shmita, a Jewish practice whereby Jewish-owned land is meant to lay fallow for a year and other markets must be tapped for agricultural produce. Approval for exit of goods remained in place after shmita was over, but the selection of produce cleared for sale in Israel was not expanded. Until 2007, Israel and the West Bank were the natural destination markets for Gaza-produced goods with 85% of Gaza’s outgoing goods sold in these areas. After 2007, Israel allowed Gaza goods to be exported abroad only, and just a handful of trucks departed Gaza every month, usually as part of subsidized projects. The loss of access to its natural markets was one of the major contributors to Gaza’s economic paralysis, for the collapse of businesses and for the high rate of unemployment, which, in turn, resulted in significant dependency on humanitarian aid. Sales outside the Strip are far from satisfactory despite these changes. The volume of sales remains small and economy activity still halting. There are obstacles that continue to stand in the way of profitability and prevent the inclusion of more people in the economy but it still symbolizes hope shared by many in Gaza and in the international community that recovery was perhaps on the way. That prospect, three years later, is still far from being fulfilled. From the time the closure was imposed in June 2007, until the end of 2014, an average of 14.7 trucks left Gaza every month. The monthly average for the first nine months of 2017 was 208 trucks, compared to more than 1,000 trucks that left Gaza on average before the closure was imposed. Israeli control of the Gaza Strip does not end with the commercial and pedestrian land crossings. Israel also controls Gaza’s sea and air space, as well as a “buffer zone” it established inside the Gaza Strip. This “buffer zone”, also known as the Access Restricted Area (ARA) stretches 300 meters into Gaza from its border with Israel. Israeli officials say farmers are permitted to advance to a distance of about 100 meters from the border, subject to prior coordination. Gisha has found no evidence that such coordination is, in fact, available. Israeli control over the vicinity of the parameter fence extends beyond just firing on farmers and other civilians who enter it. In late 2015, the IDF confirmed, for the first time, that it sprays areas close to the Gaza parameter fence with herbicides, to maintain a line of vision. The spraying harms crops well beyond the official 300 meters of the ARA and with it farmers’ livelihoods. Its long-term effects on the health of residents and livestock are unknown. 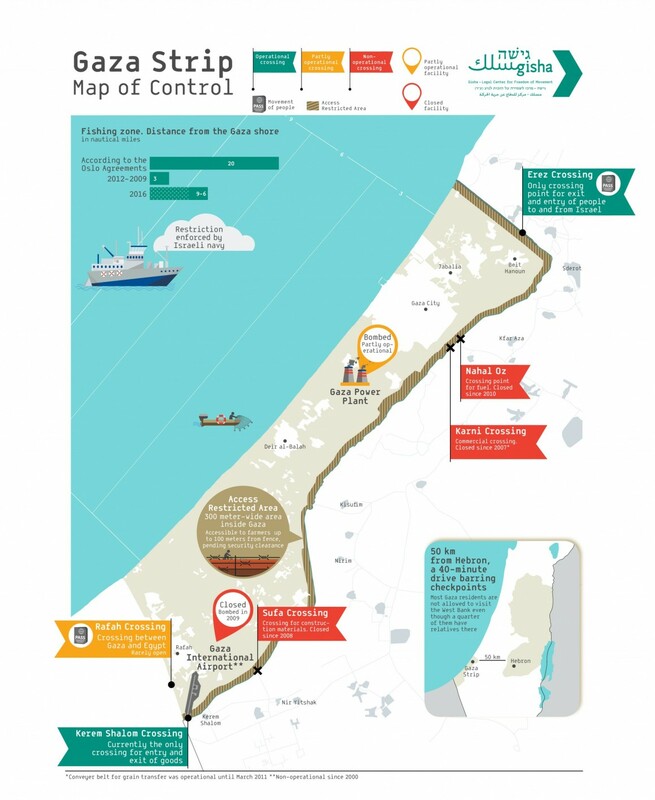 Israel restricts Gaza’s fishing zone to an area stretching up to six nautical miles off the Gaza shoreline, as of the time of publication. Fishermen deemed to have exceeded the boundaries by Israel’s navy are shot, their boats are confiscated, and they are sometimes arrested. 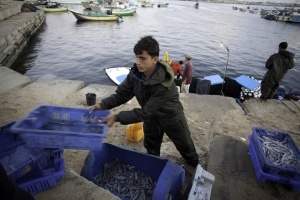 Fishing off the Gaza coast has become a hazardous occupation. Overfishing in the small area where Israel has allowed fishing over the years has depleted fish breeding grounds. Israel forbids the building of a seaport that would allow movement of people and goods, and prevents the rebuilding of Gaza’s airport, destroyed in an Israeli air raid in 2001. Two years: 360 degrees. Update on reconstruction. Senior officials in the Israeli military and government, as well as representatives of the international community, have spoken continually about the crucial importance of reconstructing Gaza. Reconstruction of the Strip is certainly necessary. The rounds of hostilities have caused extensive damage to Gaza’s infrastructure, the state of which was lacking even before the disengagement process, and has since deteriorated even further. 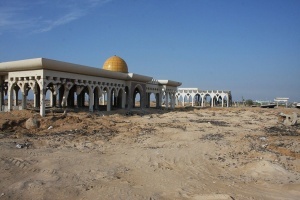 As the occupying power, Israel has not invested in developing infrastructure that can support the growth of Gaza’s population, and continues to hinder the maintenance and improvement of existing infrastructural systems by imposing a strict permit regime and greatly limiting the entrance of necessary equipment and specialists into the Strip. For many years, residents of Gaza have endured a chronic shortage of electricity, resulting in prolonged blackouts. The supply of electricity sold and provided to Gaza by Israel and Egypt, in addition to the electricity produced by the Strip’s sole power plant, only meets about half of actual demand. 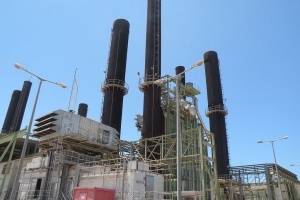 The chronic shortage was exacerbated in April 2017, when Gaza’s power plant had to stop operations, due to a dispute over purchase of fuel between the Palestinian Authority in Ramallah and de facto Hamas authorities in Gaza. The Palestinian Authority then requested that Israel reduce the supply of electricity sold to Gaza by 40 percent, a request that Israel approved and implemented in June 2017. The plant has since partially resumed operations, running on fuel purchased from Egypt. Electricity is available to residents of Gaza in cycles of between four to six hours of power, followed by 12-hour outages, disrupting everyday life and putting lives at risk. In the absence of adequate electricity supply, hospitals have been forced to shut down essential, life-saving services; neighborhoods are overflowing with sewage and the distribution of water for domestic use is further interrupted; millions of liters of untreated wastewater is dumped into the sea every day. The hostilities during Operation Protective Edge in the summer of 2014 drove half a million people from their homes. About 100,000 of them had no home to which to return. Nearly 12,000 families remain without permanent housing to this day (late 2016). More than 150,000 housing units were damaged during the operation, more than 10,000 were completely destroyed, in addition to hundreds of public buildings, factories and other businesses. 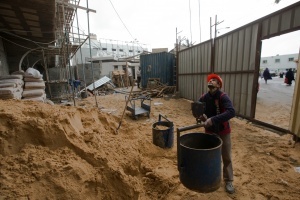 Despite international mobilization and Israel’s own professed commitment, Gaza’s reconstruction is progressing slowly. Infrastructure, which was in a terrible state even before the operation, has not been repaired, and falls far short of a state suitable for life in the 21st century. 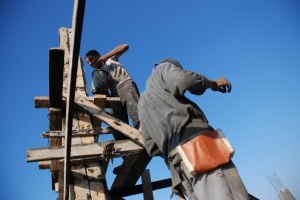 Despite international mobilization and Israel’s own professed commitment, Gaza’s reconstruction is progressing slowly. Infrastructure, which was in a terrible state even before the operation, has not been repaired, and falls far short of a state suitable for life in the 21st century. At best, Gaza residents are subjected to eight-hour rolling blackouts; have difficulties obtaining clean, potable water and, during frequent shortages, wait in long lines to buy gas for cooking and heating. The population density in Gaza Strip is among the highest in the world, with 5,154 people per square kilometer. In September, it was reported that the birth of a baby brought the population to 2 million. Figure above according to the Palestinian Central Bureau of Statistics. 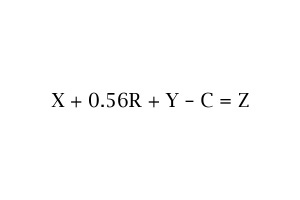 According to estimates by the United Nations. Food rations constitute most of the aid. Compared to 18.1% in the West Bank. Unemployment rate among women of the same age group (15-29) reached 79.4% in the 3rd quarter of 2017. Those over the age of 65 make up only 2.4% of the population in Gaza. Despite Israeli and international pledges to “rebuild Gaza” after the most recent military operation, which was the most lethal and destructive to date, restrictions on movement of people and goods and the shortage of construction materials preclude real reconstruction, at a satisfactory pace – this holds true for physical reconstruction, economic recovery and human recovery. 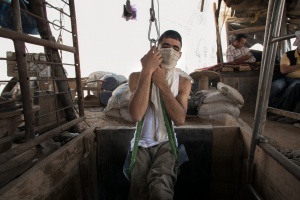 Gaza’s unemployment rate has stood, for some time now, above 40%, among the highest in the world. Gaza residents are still denied opportunities to acquire education or professional training outside the Gaza Strip, to do business (there are still severe restrictions on sales to Israel and close control over trade with the West Bank), and certainly to visit family members or do something so basic as travel for personal needs or vacation. All of this keeps Gaza’s economy in survival mode – opportunities for entrepreneurial activity or prosperity are scarce. It also confines and constricts Gaza’s population to a reality where big dreams, or even small ones, cannot be fulfilled. 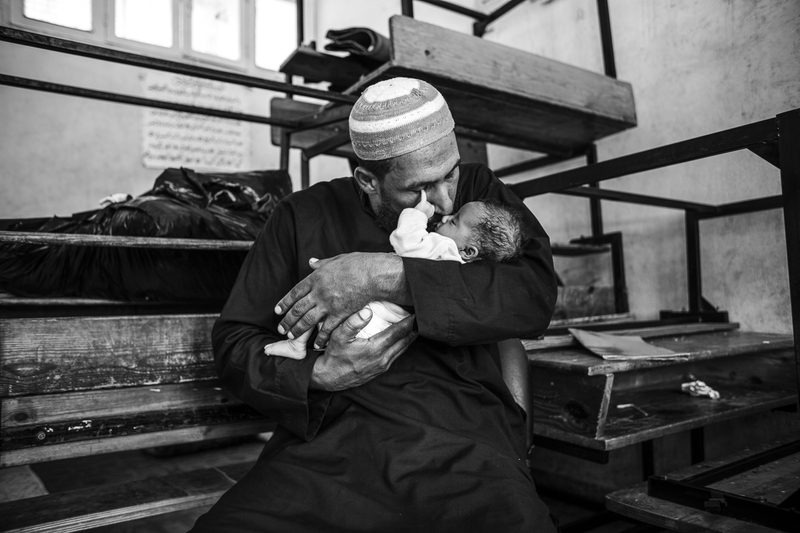 A father of 8 children kissing his newborn daughter Gaza, who was born during the war. The family escaped Shujaia neighbourhood. Israel’s substantial control over so many aspects of life in the Gaza Strip means that under international law, it must facilitate normal life in the Strip, including allowing access for civilians and civilian goods. Alongside this obligation, Israel has the authority to decide by which routes both people and goods enter and leave Gaza and to establish reasonable and proportionate security measures to prevent the transfer of weapons and other military activity. Accordingly, Gisha’s position is that Israel must allow free movement of people and goods to enable economic growth, opportunities for personal development and normal family life, subject to individual security inspections. Israel has a responsibility to allow regular movement of people and goods between Gaza and the West Bank, which continue to share a single economy, a single education system, a single healthcare system and countless familial, cultural, business and social ties. Photos: Karl Schembri, Eduardo Soteras Jalil, Anat Saragusti, Eman Mohammed, Knesset website, The White House, IDF Spokesperson, Wikipedia, GPO. Infographics: Hadas Miron. Special thanks to Maya Roman.